Thank you for checking out my festive novella, Spirits of Christmas! Available in e-book and paperback editions from all Amazon stores! ‘I’m not who you think you see. I’m not the one you used to adore. I’m the Ghost of Forewarning,’ the spirit repeated. ‘Some call this…nirvana…vana…ana…’ Fu seemed to whisper. Perusing Princesses: The best adaptation of A Christmas Carol, EVER! http://ow.ly/qvofn 5 Stars! My Seryniti Book Reviews: Loved Every Minute! http://ow.ly/qoIb9 5 Stars! Tanya Farrell: A unique twist on Charles Dickens Carol. http://ow.ly/qquoG 5 Stars! 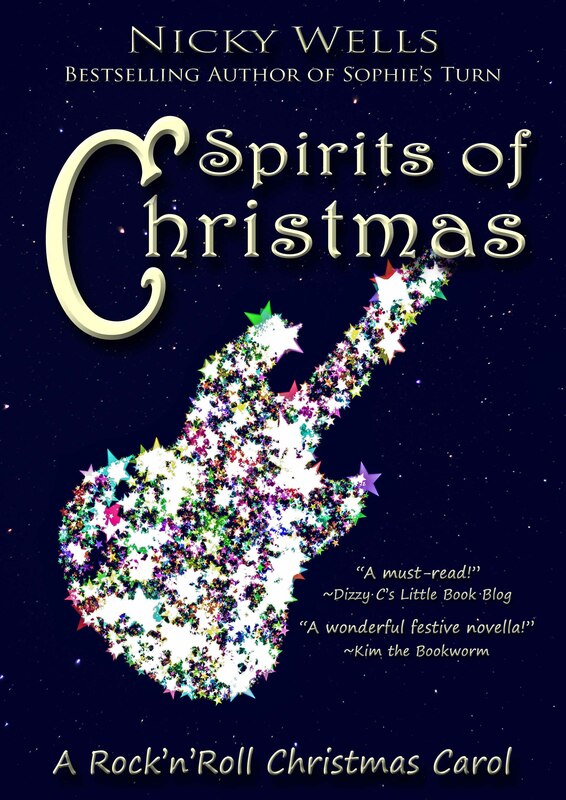 Julie Valerie: SPIRITS OF CHRISTMAS delivers rock, romance, and ghosts in a tightly written 113 pages http://ow.ly/qpirf 5 Stars! Jersey Girl Book Reviews: A Christmas Carol with a rock’n’roll theme~will get you in the mood http://ow.ly/qqvc4 4 Stars! Inga Kupp-Silberg: A quick, fast spaced novella which is very suitable reading for holidays! http://ow.ly/qpAgU 5 Stars! Rea BookBlog: A fun, festive novella! http://ow.ly/qqtaV 5 Stars! Me, My Books and I: Spirits of Christmas took me on an intriguing journey and left me with Christmas in mind! http://ow.ly/qqszv 5 Stars! Forget the Housework, I’m Reading: With fun new ghosts and a rock star as Scrooge you won’t forget! http://ow.ly/qquI4 4 Stars! Have you got the Spirits yet? Pingback: Spirits of Christmas ~ The Great St Nicholas Day Promotional Sale on Kindle! | Romance That Rocks Your World!